All Burke County EMS Special Operations paramedics are meticulously trained in wilderness medicine and rescue operations. Many have subspecialties — for instance, some serve as personnel on the state North Carolina HeloAquatic Rescue Team (NCHART), others serve on the county Tactical EMS team, while others serve as officers on local Fire- and Rescue-based technical rescue teams. They each serve as faculty for the Extern experience and share their unique experiences and specialties. A very important part of the Externship training philosophy is that you are truly learning from practicing experts who are currently active in field response. Phil Leonard is the EMS Liaison between the Carolina Wilderness EMS Externship and Burke County EMS (BCEMS). He is a BCEMS paramedic and training sergeant, as well as a member of the BCEMS Special Operations Team. He was the recipient of the Excellence in Prehospital Medical Care Award from Mountain Emergency Physicians and Blue Ridge HealthCare in 2009. 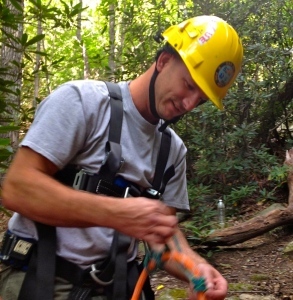 He is a member of numerous wilderness rescue teams, including Burke Search & Rescue and the NC HeloAquatic Rescue Team, and has served as an instructor for the Appalachian Center for Wilderness Medicine. 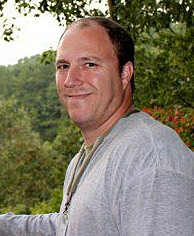 He is the course director of the Carolina Wilderness EMS Summit. 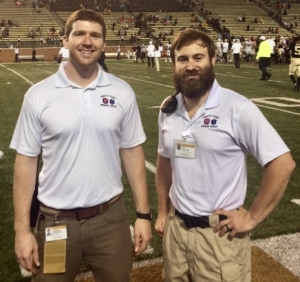 The Wake Forest University EMS Fellows have dedicated a year of post-residency training specifically to EMS. As such, they are one of the most highly-trained EMS specialists in the country. The Carolina Wilderness EMS Externship, along with the Seminar and Summit, provide a significant portion of the wilderness EMS training platform for each year’s Wake Forest University EMS Fellow. The 2018-2019 EMS Fellow is Dr. Ashley Fox. In 2017, Wake Forest University Department of Emergency Medicine launched the first consensus guideline/accredited Wilderness EMS Fellowship in the world. The Carolina Wilderness EMS Externship is also intrinsically involved in the training and experience of this two-year Wilderness EMS Fellowship experience. The 2017-2019 Wilderness EMS Fellow is Dr. Chris Davis, who is himself the Externship’s MD-53 and was one of the 2013 Externs. Dr. Davis is pictured on the right with Dr. Stephen Powell, the 2017-2018 EMS Fellow, on the left. Mr. Young is the Global Course Manager for Hawk Ventures. He comes to the Carolina Wilderness EMS Externship from the US Army Special Forces military arena, where he was primarily responsible for training Special Operations medics and other military and civilian medical personnel at Fort Bragg, NC. He is a graduate of the famed Western Carolina University Emergency Medical Care Program, the first Baccalaureate EMS program in the nation, and is the former EMS Coordinator for Western Piedmont Community College. He is a Level 2 NC EMS Instructor and currently works as a paramedic in Rutherford County. Mr. Queen is an executive coach in private practice in Hickory, NC, and is on our staff in the innovative role of health care coach. He is passionate about people being able to have what they really want in life, and is committed to people seeing their greatness. He has special interest in preventing burnout in physicians, and helping them achieve their goals both professionally and personally. He joins the entire Carolina Wilderness EMS Externship leadership in a particular interest in protecting personal and family relationships in health care careers. In that context, he is also a relationship expert who has been specifically trained to address couples/marital problems including divorce, infidelity, and conflict resolution. Multiple personnel throughout all the participating agencies are available to assist with the Externs and assure their month is productive, safe and meaningful. In particular, the Graduate Medical Education Office (GME) at Carolinas HealthCare System-Blue Ridge facilitates the logistics of graduate medical education and student/resident credentialing. Burke County Search and Rescue, Burke County Rescue Squad, and Burke County law enforcement officers on specialty teams such as tactical and dive teams all contribute to the learning experience as staff and instructors. Mike is a native of Loudonville, NY, and earned his commission in the Medical Service Corps through Army ROTC at Embry-Riddle Aeronautical University, Daytona Beach, FL. Mike’s duty assignments include service at Fort Benning, GA; Fort Sam Houston, TX; Fort Drum, NY; Fort Rucker, AL; Korea; and Japan. 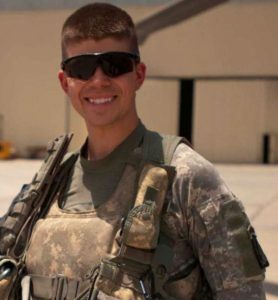 He has served in a combat deployment in support of Operation Enduring Freedom X-XI, and operational deployments in support of Hurricane Sandy relief efforts in 2012 and the 2013 Presidential Inauguration. Mike grew up in Upstate New York and developed a passion for the outdoors through the Boy Scouts of America, earning his Eagle Scout in the Twin Rivers Council. He also served as a Ski Patroller for Gore Mountain throughout high school. Mike holds a Bachelor of Science (BS) in Meteorology from Embry-Riddle Aeronautical University, a Master of Public Health (MPH) from American Military University, and a Ph.D. in Epidemiology from Walden University. He is currently a fourth-year medical student at the Edward Via College of Osteopathic Medicine (VCOM), located in Auburn, AL. He has been involved in Emergency Medical Services (EMS) since 2004, serving as an EMT, Paramedic, and Flight Paramedic. He obtained his Certified Flight Paramedic (FP-C) in 2011 and currently serves as the Military Liaison/Board Member at Large for the International Association of Flight and Critical Care Paramedics (IAFCCP). Mike is an Army Aviator, rated in the H-60 A/L, H-60 M, and H-58 A/C. He also holds an FAA Commercial Pilot’s license. 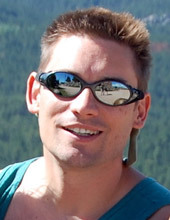 Mike resides in Enterprise, AL, with his wife, CPT Sarah Brisson, and their two children, Noah and Lucas. He is currently an Aeromedical Evacuation Officer in the Alabama Army National Guard, Fort Whiting, AL. He also serves as a civilian Paramedic, Bike Medic, and AHA/NAEMT Instructor for Enterprise Rescue, and as a Firefighter/Paramedic for the New Brockton Volunteer Fire Department. While off-duty, Mike and Sarah enjoy hanging out with their boys at the beach or lounging by the pool. Mike plans on specializing in Family Medicine and Aerospace Medicine. Hannah is currently a 4thyear medical student at the University of Tennessee College of Medicine in Memphis, TN. Prior to attending medical school, she received her Bachelor of Science degree in Biochemistry and Cellular and Molecular Biology from the University of Tennessee, Knoxville. Her journey into the outdoors began when she took a SCUBA diving course with her father when she was a teenager. Upon starting college, she discovered UT Knoxville’s Outdoor Program (UTOP), and learned how to whitewater kayak on world-class rivers in the southeastern United States. Her favorite outdoor activities are whitewater kayaking, backpacking, and rock climbing. 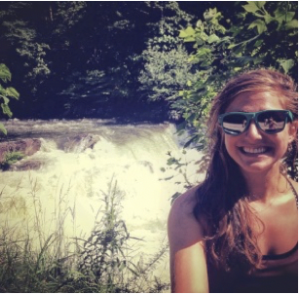 Hannah worked at UTOP for three years as a Whitewater Kayak Instructor and Student Outdoor Trip Leader and also served as UTOP’s Risk Management Coordinator. She led students and faculty sea kayaking along the Georgia coast, kayaking on the Nantahala River, and whitewater rafting on the Ocoee River. Guiding led to certification as a Wilderness Emergency Medical Responder, Swiftwater Rescue Technician, and American Canoe Association Kayak Instructor, and sparked her interest in rescue medicine, culminating in her decision to become a physician. She currently serves as the president for UTHSC’s Wilderness, Austere and Rescue Medicine student interest group. Her professional goal is to incorporate her passion for wilderness medicine into her work in primary care and emergency medicine. Hannah has been approved by the UT College of Medicine to take a Scholar’s Year between third and fourth year exploring wilderness medicine. She will be volunteering as a first responder in Western North Carolina, trekking with the Wilderness Medical Society in the mountains of Nepal to support the Wongchu Sherpa Memorial Hospital, and working at the Nantahala Outdoor Center and SOLO Southeast as a river guide and wilderness medicine instructor. When she is not playing outside, Hannah enjoys making her famous chili and hanging out with her two cats, Cheetoh and Batman.